mwe3: The lead off track Sailing sets a great mood for Man On The Rocks. It sounds very McCartney inspired. Did you set out to write the perfect pop song? Mike Oldfield: I never set out to write a specific kind of song. I wait for inspiration and the song gradually takes shape. Sometimes the song seems to write itself. mwe3: Is Moonshine is kind of a tribute to the early immigrants that left Ireland for America? Is there a lot of that glorification of in England and Ireland for the early American pioneers? Do you even wonder what it was like to be on those big ships coming to America for the first time? Mike Oldfield: I heard a song by Bruce Springsteen call American Land and that gave me the idea to write an immigrant song. I love the USA and the people there and living in Nassau is very close to Florida. 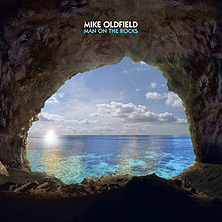 mwe3: The title track Man On The Rocks is the showpiece of the album. The guitar sound you get on the closing of that song is fantastic. 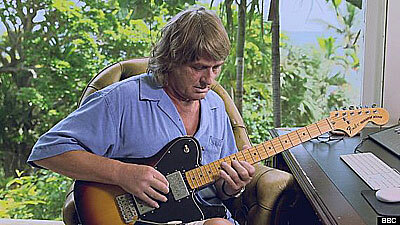 Mike Oldfield: The guitar sound was a recreation of the sound I used on Ommadawn, my third album. mwe3: I guess recording with musicians in various places around the world through the internet is now the current vogue. But you mentioned the sound you can get with high speed internet these days is unprecedented. Is this what youve waited for all your life? Mike Oldfield: I hope the internet will get faster and easier to navigate it, real time in high quality sound and vision. 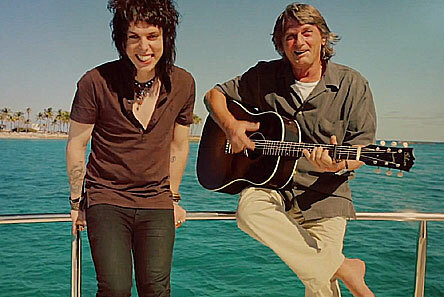 mwe3: Castaway has another nautical type feel, kind of like an old sea shanty. Is Castaway about desperation or is it really as you said about child abuse? Did you have an abusive childhood? Mike Oldfield: I have memories myself of being afraid and lonely. They used to cause me problems but I have come to terms with them and am at peace and have been for a long time. mwe3: Minutes is classic Oldfield. You mentioned that track was influenced by the early 1960's sounds of The Shadows and even Buddy Holly. Mike Oldfield: I remember Buddy Holly and the sods of that tine... it was just as my awareness of music was starting to develop so I wanted to make a track in that style and mood. mwe3: You say Dreaming In The Wind is about someone being cremated and then releasing the ashes? Another classic Oldfield track. A lot of people like this song... I think youve struck a nerve! 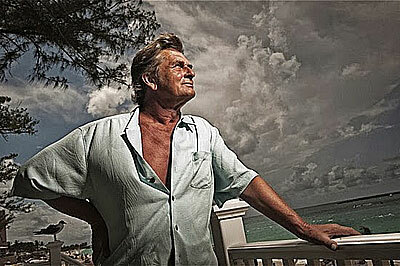 Mike Oldfield: It is a song about the afterlife which I believe in and I can feel its existence even now. Mike Oldfield: I traveled to Ypres in Northern France to tour the museums and battlefields of WW1 because my Irish grandfather was there in 1916.
mwe3: Chariots is a rocking song. Is the song about personal relationships or business or other types of relationships? Mike Oldfield: Chariots is a song for those going through difficult painful times to give them hope and courage. mwe3: Following The Angels is almost is safe haven after the preceding two songs. Tell us about the Olympics ceremony in London. What was that like? Mike Oldfield: The Olympic games ceremony was the high spot of my career and I wanted to try to capture the feeling I felt in music of the event. mwe3: Being that you live in The Bahamas and I live in the Miami Beach area were always talking and/or worrying about hurricanes. Thats the subject matter for Irene. What are your plans when the big one hits here? Mike Oldfield: I always prepare everything before the hurricane arrives and have a generator, a well for water and satellite internet. Also I live in a house built into the rock here in Nassau well above any possible storm surge. Mike Oldfield: I would also love to hear Mick Jagger sing it. mwe3: I Give Myself Away is a bit sedate after Irene. Anyway, the sentiment is nice and it has a cool climax. 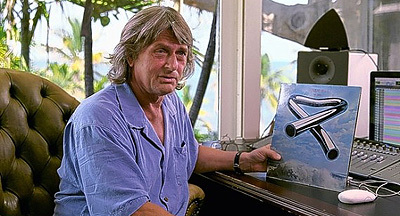 Mike Oldfield: It was not supposed to be on the album but Steve persuaded me to include it as I had changed it sufficiently to make fit on the album. mwe3: When did you discover singer Luke Spiller and how did you decide to work with him? What does Luke bring to Man On The Rocks and who else is playing with you on the new album? Mike Oldfield: Luke was suggested by my record company as he is signed to them as well. The names of all the musicians are on the artwork. They were all American musicians from L.A.
mwe3: What was it like working with producer Stephen Lipson and how did he shape the sound? How did you meet him? Mike Oldfield: I met Steve through a musician friend and he was easy to work with as he is an engineer, producer and musician like me. mwe3: What guitars are you playing mostly on the Man On The Rocks album? Mike Oldfield: Mostly a Fender Deluxe with Humbucker pick-ups. mwe3: Man On The Rocks features musicians recording on different continents, with you in The Bahamas and others in L.A. Whats coming next for you technologically? And where do you think computer technology is going next? Mike Oldfield: It was easy working on two continents using the internet and I would not hesitate to work like that again. I hope the internet will speed up until everything is instant with no waiting. mwe3: The flip side is how do you feel about "over technologizing"? 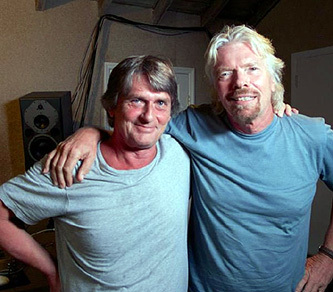 Mike Oldfield: Technology has improved so much for recording music, especially in the last few years with the latest Mac computers and Protools software. Now the studio is fully capable of recording any work. mwe3: Tell me about the label youre on now. Are you back on Virgin? Look at UMe owning Virgin, Capital and EMI. Mike Oldfield: Universal have bought up most of the labels now and I am very lucky to be signed to them. I get on very well with all the people there. mwe3: When you were a kid did you buy all the Shadows singles, EPs and the LPs? Is Wonderful Land still your favorite Shadows single? 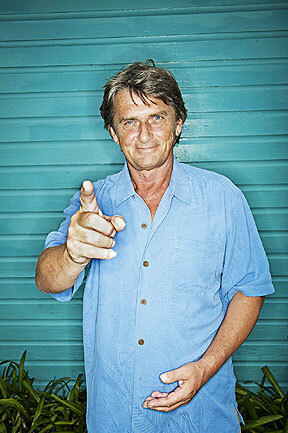 Mike Oldfield: I bought Apache and Wonderful Land, they are my favorite. mwe3: So you mention you might consider recording a 1960s type album? Would that be pop vocal or instrumental or both? How about you and me working on a Shadows inspired / Pohjola inspired guitar instrumental album? One time I was at a festival in Finland, in the summer of 1985, where Pekka and his band were doing a concert which was incredible (you wouldn't believe the echo and sonic effects from the sound board)... and I admit that we had a few beers but Pekka looked me straight in the eyes and said, I want you to produce our next album. (lol) Out of a number of times Pekka and I were visiting between 1979 and 1993, in Finland and New York, I always remembered that. Mike Oldfield: Pekka Pohjola was a fine bass player but I dont have many other memories of him. Sorry I dont collaborate well.